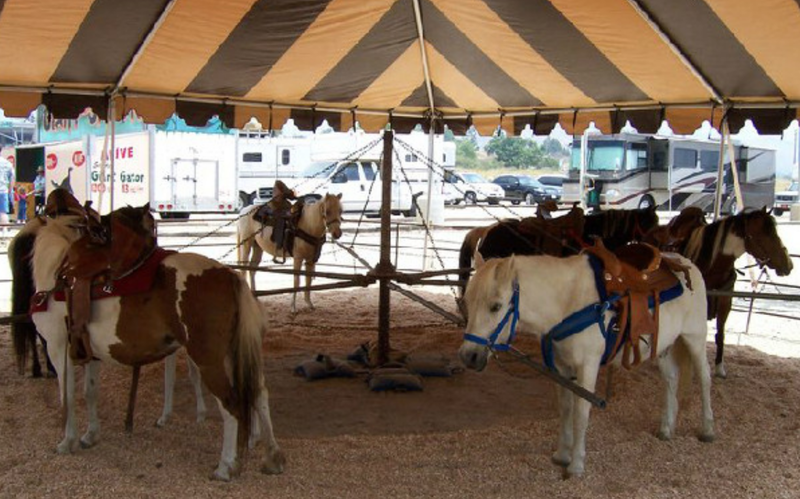 Our Pony Sweep rental consists of four to six ponies connected on a wagon wheel. Basically it is a real live pony carousel. 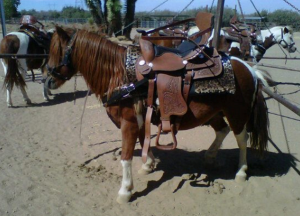 All ponies are fully equipped with safety belt saddles, bridles & colorful saddle padding. Decorating our ponies (upon request), is also one personalized features. 2-3 trained attendants will hand lead the ponies, and immediate clean up is included. CPP-LA has provided Pony Sweeps for corporate events, school fund raisers, street festivals and more…for over 25 yrs. We are fully insured for all of Los Angeles & L.A. county. Additional insured certificates are also available with each reservation. Please call our booking line, and speak with a live-agent for additional details & pricing.